The first version of Expedition Workshed went live in 2010 and featured the structural simulator Push Me Pull Me, a Virtual Materials Lab and archive material from the Institution of Civil Engineers’ about notable engineers and famous projects. 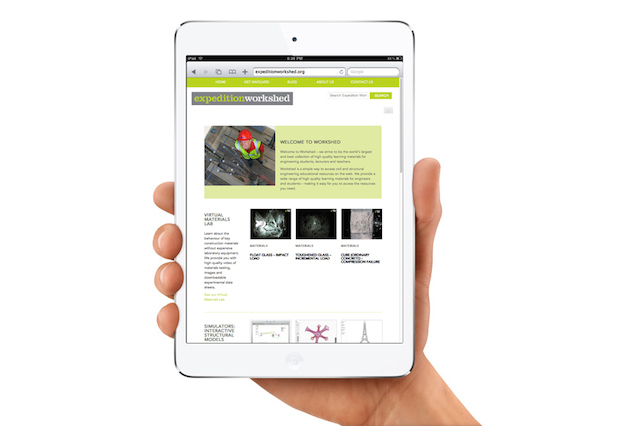 In 2012, Think Up created a brand new VLE for Workshed, allowing students access to materials through a crisp clean interface, and providing lecturers with a separate staff room area from which they could download lesson plans for design workshops. The creation of Expedition Workshed, and its ongoing development and maintenance has only been possible through the generous support of: Expedition Engineering; the Ove Arup Foundation; the University of Bath; the Institution of Civil Engineers; the Institution of Structural Engineers; the Royal Academy of Engineering; the HE-STEM fund; the Building Centre; CONSTRUCT; the University of Edinburgh; Imperial College, London; the University of Portsmouth; and the University of Strathclyde.